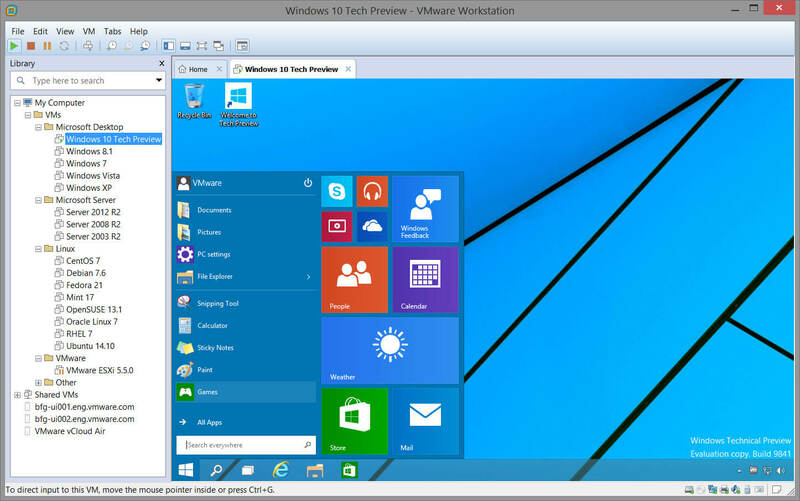 VMware Workstation™ 11 continues VMware’s tradition of delivering leading edge features and performance that technical professionals rely on every day when working with virtual machines. 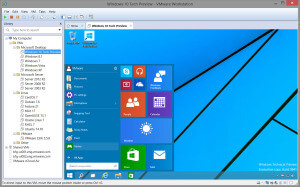 With support for the latest version of Windows and Linux, the latest processors and hardware, and the ability to connect to VM ware vCloud Air, it’s the perfect tool to increase productivity, save time and conquer the cloud. With Workstation 11, you can create virtual machines with up to 16 vCPUs, 8 TB virtual disks, and 64 GB of memory to run the most demanding applications in a virtualized environment. You can now give graphics-intensive applications an additional boost by allocating up to 2GB of video memory to a virtual machine. 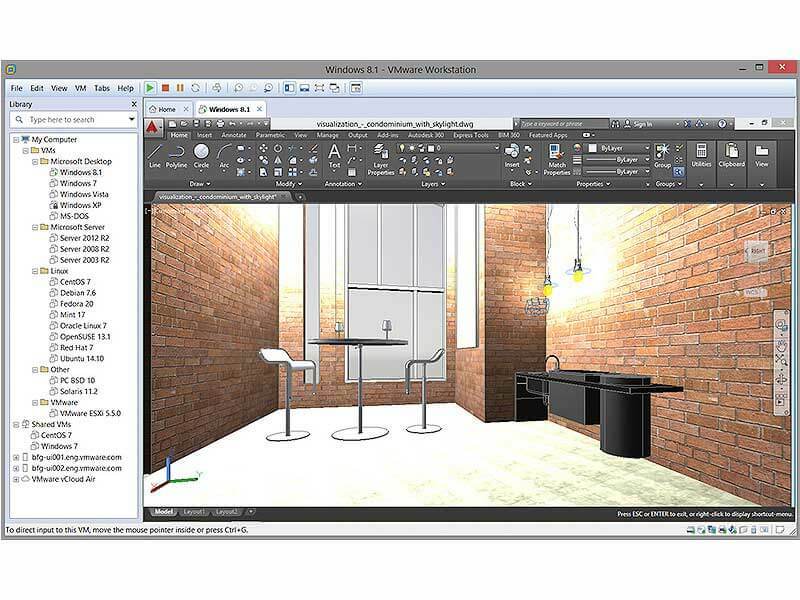 With powerful 3D graphics and support for OpenGL 2.1 and DirectX 9.0c Shader Model 3 graphics, Workstation makes running highly demanding 3D applications like AutoCAD or SolidWorks a breeze. Workstation 11 has been optimized to support higher resolution displays like the new QHD+ (3200×1800) displays used in laptops and x86 tablets. Leverage the new Microsoft Surface Pro 3 capabilities with Workstation’s virtual accelerometer, gyroscope, compass, and ambient light sensor to enable applications running in the virtual machines to respond when a user juggles their tablet. In addition, Workstation 11 supports HD audio with 7.1 surround sound, USB 3.0 and Bluetooth, making it easy to take advantage of the latest hardware. This entry was posted in Applications, VMware. Bookmark the permalink.